Free entry to PSP World Cup. Over 200 cases of Ultra Evil, premium tournament grade paint, awarded through out the season. Over $25,000 cash and prizes awarded through out the entire season. 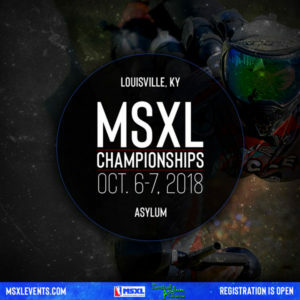 The MSXL was formed from an idea shared by associates and friends Chris Geiger and Darin Tapp. 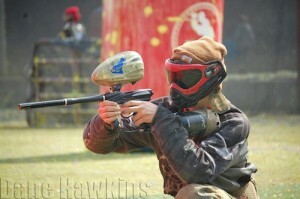 Our region was hungry for a more advanced level of tournament paintball. We were affiliates of the SEPS series which utilizes the old 5-man formats with modified rules. This was a fun league but limited players from moving up into the more advanced format of X-Ball now Race to Format. We saw a giant void in the middle of the Nation that needed to be filled. Through conversation with Chris Rhael of APPA we found out about a meeting at the Extravaganza of league owners and heads of industry. This meeting was literally a life changing experience. When we realized how committed the powers to be were to the ideas shared that day we were all in. We hashed out an agreement on a handshake to commit our resources to build a top notch regional league and cross promote long term with PSP to build tournament paintball to levels never achieved in this region. We came up with the Race to World Cup slogan and cross promotion idea shared the idea with Dave Youngblood of DYE & PSP. With Dave’s blessing we set out to build the MSXL. Once we received confirmation of our Official Affiliate League status from Lane Wright COO of PSP we set out to recruit venues/host for our new League. Through either being a player or having children playing we had some ideas of how to take PSP formats make them more affordable and fun. To our knowledge we have the most affordable events of any major Regional Series in the Nation. We have emplemented the Volunteer Ref for your Entry Program, BYOP or amazingly affordable event paint thanks to Empire. We also hired an amazing Ultimate Ref in Andrea Wallace with several years PSP experience who oversees all reffing duties, and constantly recruit and train head field Refs for consistency.